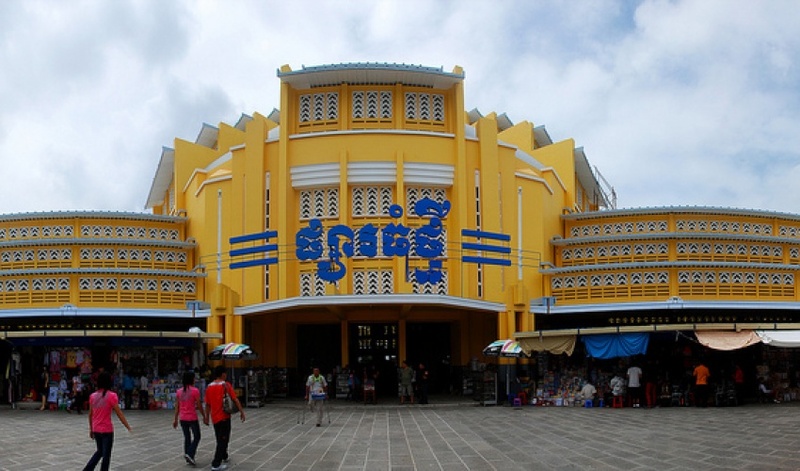 The dark-yellow Art Deco Phsa Thmei (New Market) is also referred to as the Central Market, a reference to its location and size. It was constructed in 1935 to 19 37. The Art deco building is shaped in the form of a cross with a nice central dome. And has four wings filled with shops selling gold and silver jewelry, antique coins, fake name-brand watches and other such items. 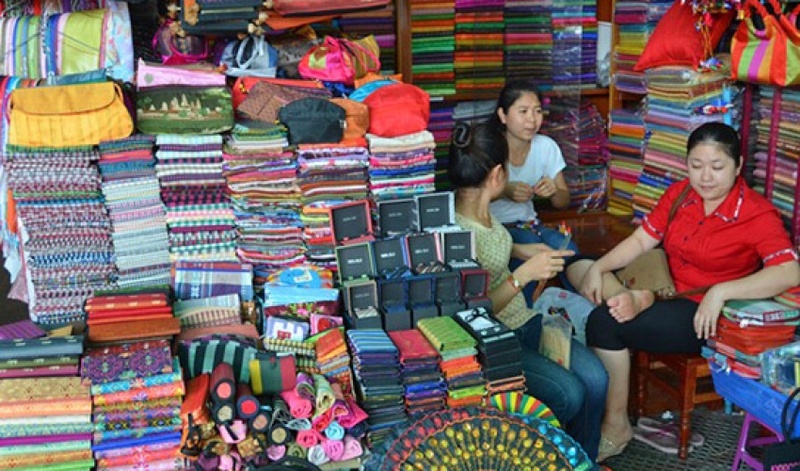 Shopping in Phnom Penh is a major attraction for tourists who love to buy back some souvenirs from this exotic Asian land. 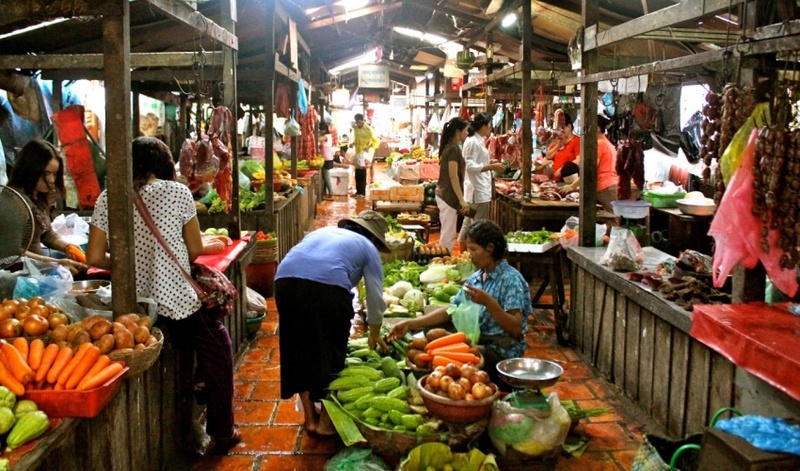 Central Market (Phsar Thmei) in Phnom Penh is one of those busy bazaars that are always filled with effervescent crowd from one end to the other. 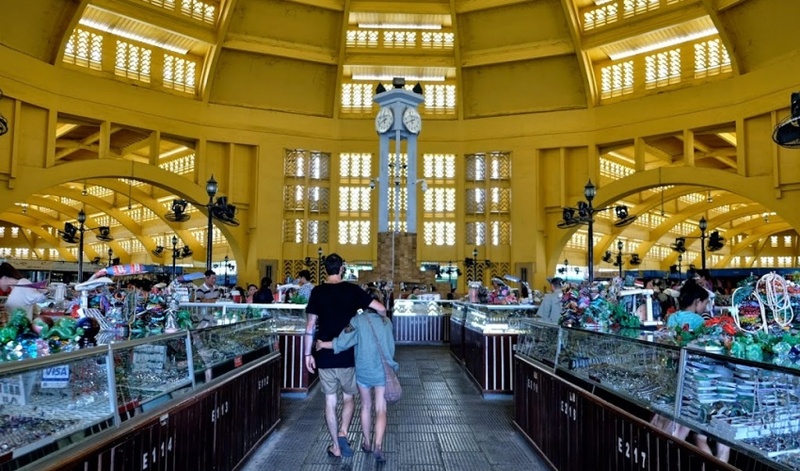 The Central Market (Phsar Thmei) of Phnom Penh stocks everything right from food items to clothes, silverworks and jewelries. 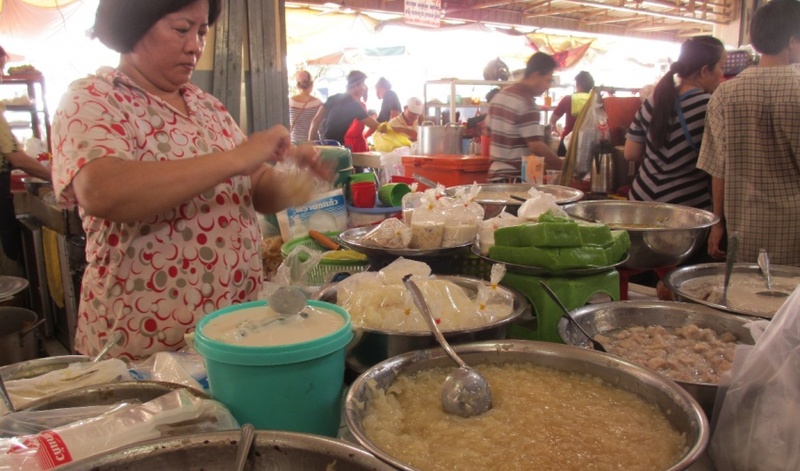 Where the Central Market (Phsar Thmei) in Phnom Penh is now located was previously a swamp that was used to accumulate runoff rainwater. 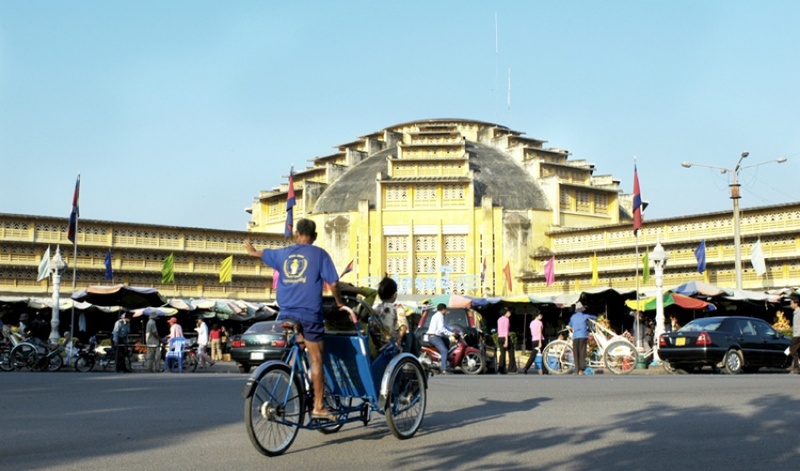 The market building is a beautiful one, a spectacular instance of Cambodian architecture. 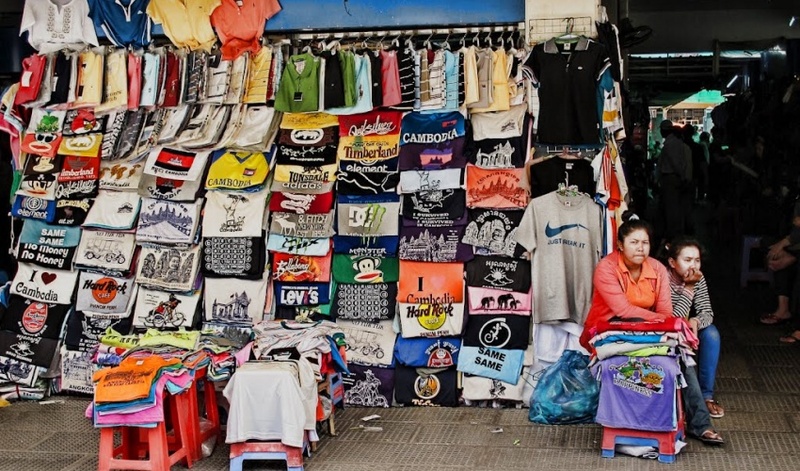 Central Market (Phsar Thmei) of Phnom Penh in Cambodia also sells electronic items and there is also plenty of secondhand stuff that you can buy here at an affordable rate. 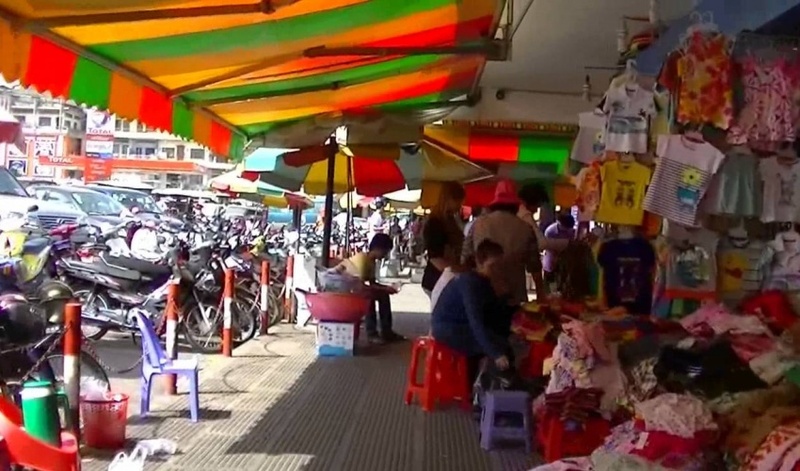 The gateway to the market is lined with hawkers who sell different kinds of tidbits. The jewelries are found in the interior of the market and some of the gold ornament that you will find here are really unsurpassable in design and style. 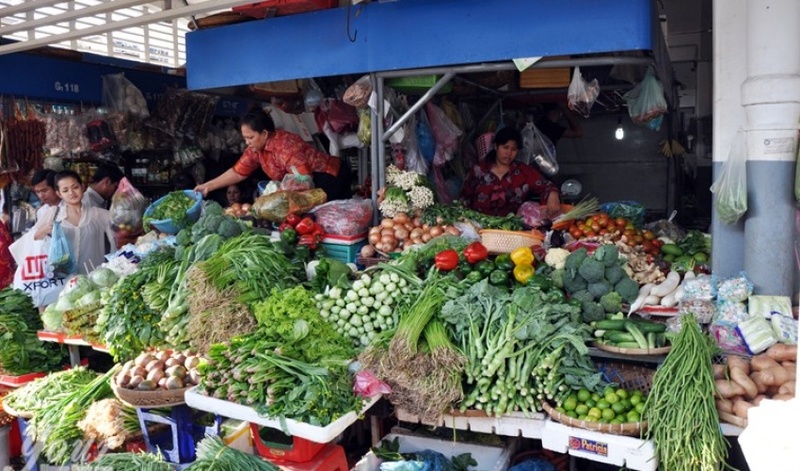 Central Market (Phsar Thmei) at Phnom Penh should have been actually called the New Market for that is what "Phsar Thmei" means in English. 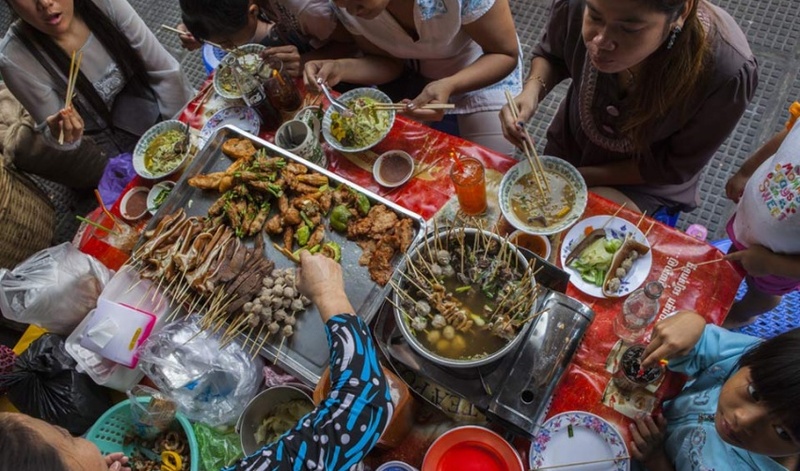 However, today it is popular to the tourists by its present English name. 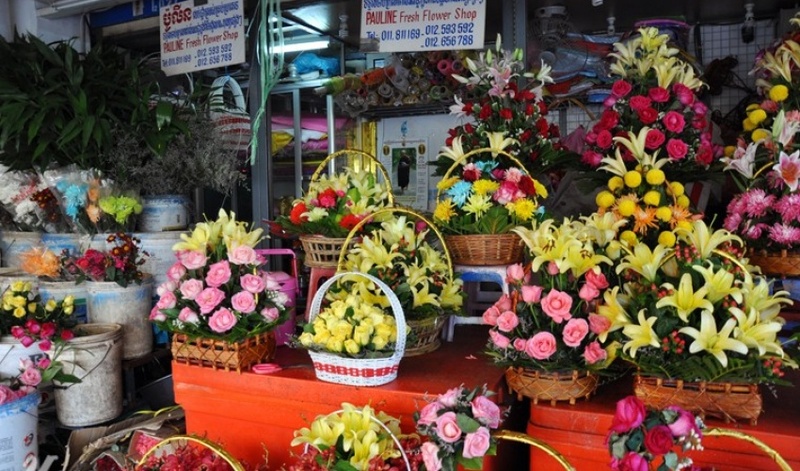 Coming to Central Market (Phsar Thmei) in Phnom Penh and then going back to your respective hotel is easy as there are plenty of transportation facilities near the marketplace. 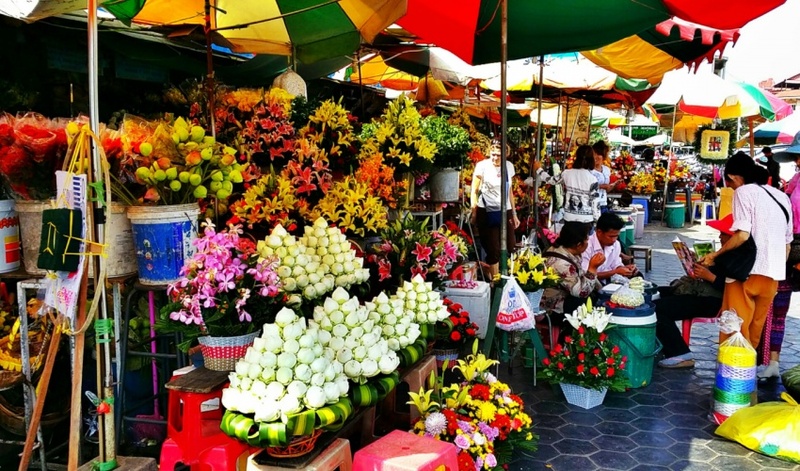 Whoever loves to browse endlessly through small yet enticing shops, will find the Central Market (Phsar Thmei) in Phnom Penh an enchanting place. 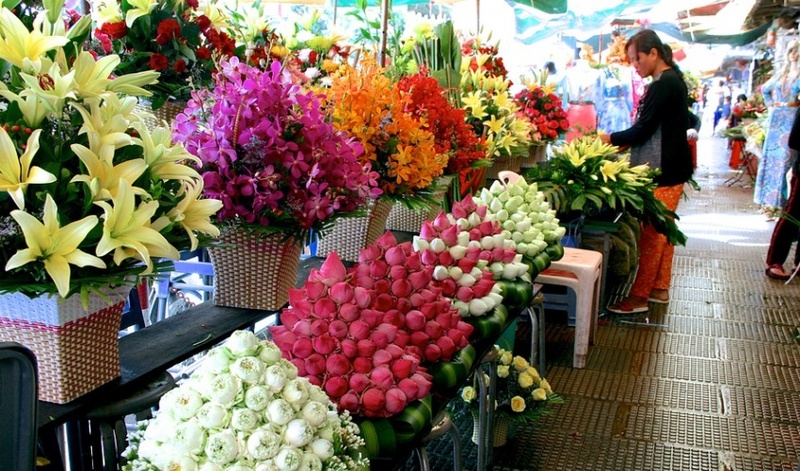 It is a great source of fun and adventure in the city. 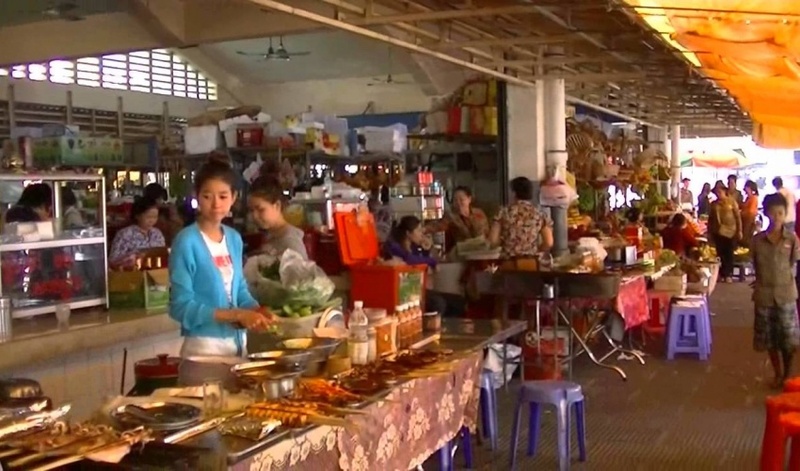 The name "Phsar Thmey" means "New Market" but in English, it is commonly called "Central Market". 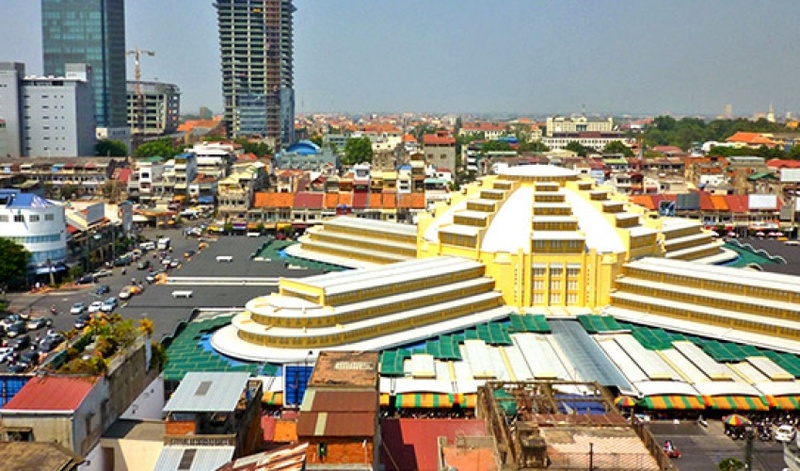 This may cause some come confusion because Phnom Penh also has a "Phsar Kandal" close to Wat Unalaum and the Riverside.